His vegetables mean business in the Stella McCartney Kids™ Veg Gang Carrot Short Sleeve Tee. Carrot army graphic along the front. Product measurements were taken using size 10 (Big Kids). Please note that measurements may vary by size. 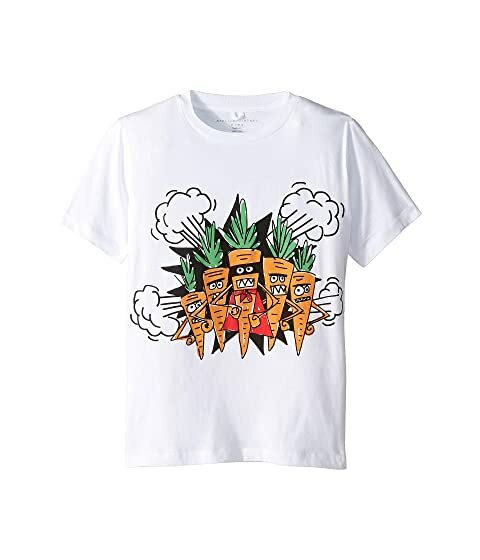 We can't currently find any similar items for the Veg Gang Carrot Short Sleeve Tee Early (Toddler/Little Kids/Big Kids) by Stella McCartney Kids. Sorry!